Environmentally Friendly: Is easy to maintain and control. Excellent Corrosion Control: Organic and inorganic corrosion inhibitors protect machinery and parts from rust. Operator and Machine Friendly: Pleasant to use. Does not smoke or leave a slippery, oily film on parts or machinery. Stable and transparent. 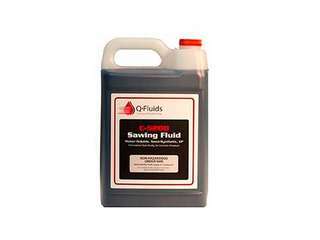 Clean, Safe and effective sawing fluid. Take on today’s most demanding sawing conditions. Band Saw hydraulic systems are designed to be more powerful and efficient, and your machine runs in hard industrial conditions. Todays Machines are also tougher to lubricate. Sawblade.com exceeds the challenge with C 8000 hydraulic oils that perform in the harshest conditions, to help you meet or even extend the expected life of your Band SAw. A translucent blue, water soluable, synthetic sawing fluid designed when long life of the coolant is desired. Enviromentally Friendly: Is easy to maintain and control. Excellent Corrosion Control: Organic and inorganic corrosion inhibitiors protect machinery and parts from rust. A translucent blue, water soluable, full synthetic sawing fluid designed when long life of the coolant is desired. Metals: Carbon steels, Alloy steels, Cast iron, High alloys steels, Stainless steels and exotic alloys. 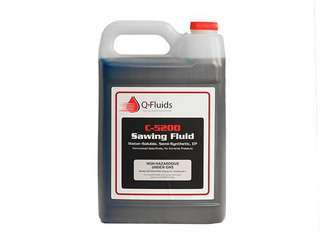 QFluids C Series Sawing Fluids are Clean, safe, effective sawing fluids and lubricants for increased tool life and lower maintenance expenses. Metal cutting operations generate Heat due to tool friction and energy lost deforming the material. 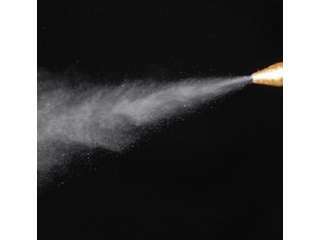 The surrounding air is a poor coolant for the cutting tool because it conducts heat poorly and has low thermal conductivity. Ambient-air cooling is adequate for light cuts and low duty cycles typical of maintenance, repair and operations (MRO) or hobbyist work. However, production work requires heavy cutting over long time periods and typically produces more heat than air cooling can remove. 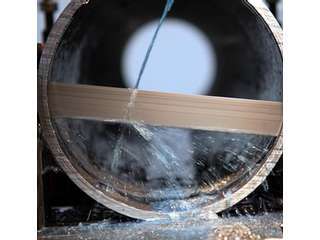 Rather than pausing production while the tool cools, using liquid coolant removes significantly more heat more rapidly, and can also speed cutting and reduce friction and tool wear..
Typhoon C 5200 Semi-Synthetic Coolant is a translucent blue, water soluable, synthetic sawing fluid designed to be a moderate to heavy duty sawing fluid where long life of the coolant is desired. 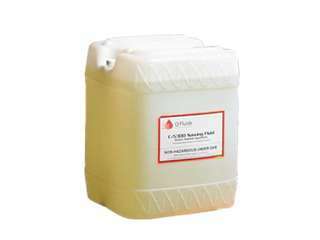 C 5200 Semi-Synthetic Coolant is also able to be used in sawing operations. Typhoon C 5300 Full Synthetic Coolant is a translucent blue, water soluable, synthetic sawing fluid designed to be a moderate to heavy duty sawing fluid where long life of the coolant is desired. 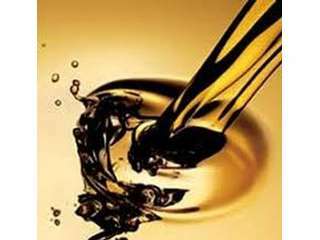 C 5300 Full Synthetic Coolant is also able to be used in all Sawing and Grinding operations.